The Google Pixel 2 and Pixel 2 XL have been leaked ahead of their launch, which is about 2 days away. The devices were outed by Evan Blass on VentureBeat. 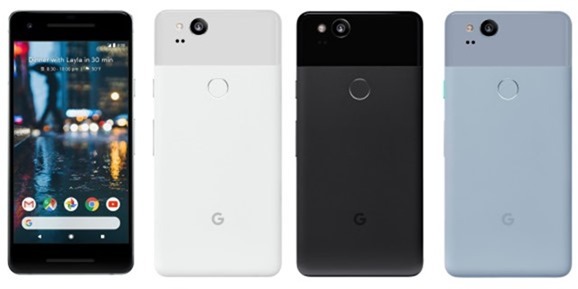 The phone pictured above is the Pixel 2 XL manufactured by LG, and codenamed Taimen. 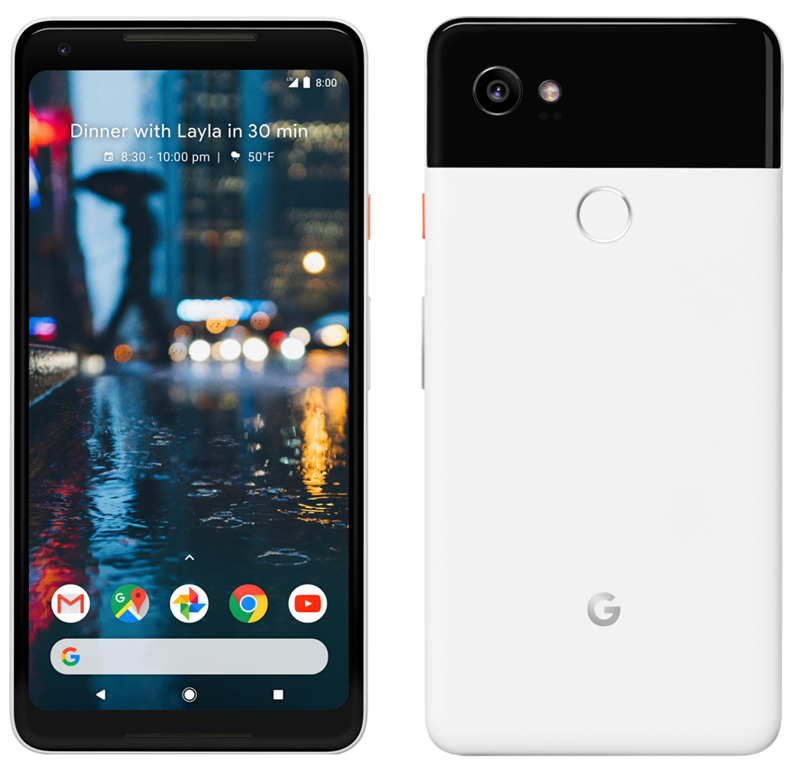 The device seen below is the Google Pixel 2, which is manufactured by HTC and codenamed Wallyeye. The devices will be powered by a Qualcomm snapdragon 835, with 4GB of RAM, and 64GB/128GB of storage. The devices will have front-firing stereo speakers, and 12 megapixels rear cameras. The Pixel 2 has a 16:9 aspect ratio for its 5-inch 1080p Full HD display, and the Pixel 2 XL has an 18:9 aspect ratio on its 6-inch Quad HD+ display, which looks similar to the one on the LG V30 and G6, aka FullVision. The other most noticeable change is the Pixel Launcher, which now has the search bar on the bottom. It can be more easily reached perhaps making it easier for one handed use, but the fact that it is between the nav bar and the dock, could result in mistaps. And the swipe gesture to open the app drawer is there as seen by the caret icon. According to previous rumours, the Pixel 2 will cost $649 for the 64GB, and $749 for the 128GB variant, while the Pixel 2 XL will retail for $849 and $949 for the two variants. Google is expected to ship the Pixel 2 from October 19th, and the Pixel 2 XL from November 15 th. Google will launch the Pixel 2 and Pixel 2 XL on October 4th (9 AM PST), so it will be October 5th in this part of the world. The Mountain View company is expected to introduce a new VR headset, a laptop, and a mini connected speaker.